The Miami Slip and Fall Attorneys at the Wolfson Law Firm want you to know what stores should do to prevent slip and fall accidents. We also want you to know what the store will likely do after you fall. If you would like to discuss any of these points in greater detail please call us for a free consultation at (305) 285-1115. If you have been injured in a slip and fall accident we can tell you what to do. Our personal injury lawyers in Miami will also help you understand what you need to know about slip and fall accidents. Our personal injury lawyers at the Miami office of the Wolfson Law Firm have represented the good folks of Florida for over 60 years. We can help you and your loved ones too. Our firm is designed to handle your case from the first call through a jury trial and appeal if necessary. The attorneys of the Wolfson Law Firm and their personal injury team of professionals pride themselves in providing top level customer service. Our managing attorney Jonah Wolfson is a bilingual personal injury lawyer in Miami and he is here to help you and your family. We offer a free consultation and are available to come see you at home, work or at the hospital. Just call us at (305)285-1115 and we will be pleased to answer your questions and honored if you allow us the opportunity to represent you and your family. Retail stores, supermarkets, restaurants and malls all know what they are supposed to do to keep you safe when you are eating or shopping. Each company should have safety policies and procedures to follow. In addition, the insurance companies for these businesses will usually review the safety operations before providing a price for the insurance they will provide. Most commercial businesses have insurance for injury claims and it is not unusual to see policy limits of one million dollars or more. So if you were injured in a slip and fall, there will likely be insurance coverage available. But it is not easy to get a reasonable settlement. It takes investigation and hard work by a Miami personal injury lawyer to make sure you can prove your case. If we are able to prove your case, then you stand a better chance at achieving a full, fair and complete settlement by negotiation or through a jury verdict. Fix and repair all uneven grounds or surfaces as quickly as possible. Until the surface is actually repaired make sure to warn every one of the danger. Teach employees and managers what they need to do in the event someone is injured. Know how and where to call for help. Make sure to offer medical assistance to an injured customer. Maintain good records of routine cleaning. Keep clear records of all efforts to repair and/or remove hazards or dangerous situations from your grounds. Make certain that all government tests and inspections are approved and keep a record of the approvals. Institute and maintain safety training for all employees and require immediate reporting and documentation of dangerous/hazardous conditions. Use cleaning products that meet or exceed industry standards. Clean and check floors, aisles, shelves, walkways and restrooms on regular and documented basis. Conduct and document safety checks on a daily basis. These checks should include searching for greasy or wet floors, uneven or broken floor mats, torn or broken carpet, floor obstructions and lighting issues. Stairs, elevators and escalators should be inspected and serviced at regular intervals. Conduct regular inspection and maintenance of sidewalks, parking lots and garages. Inspect and repair parking lot including potholes, removing debris and water from property, and eliminating obstructions. Be informed about premises liability and crime data. If there is a reasonable chance of criminal activity then employ the necessary security services to protect the customers and employees. 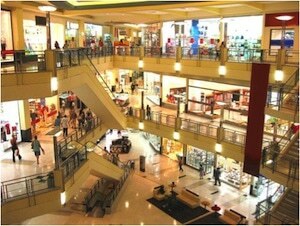 All stores, shops, supermarkets and malls should obtain and keep adequate premises liability insurance. In our handling of slip and fall injury cases, our Miami slip and fall attorneys always look to see if the at-fault store owner followed their own policies and procedures. If we find evidence that the supercenter, mall, retail store or business owner failed to follow their own rules, that goes a long way to proving your case. As most Miami personal injury lawyers will tell you, proving negligence is usually the biggest hurdle in slip and fall cases. If you are injured in a commercial business, try to recall this list. It will help you down the road if you are able to collect evidence such as photos, video and gather witness contact information. Then call the Miami personal injury lawyers at the Wolfson Law Firm so we can help you recover the full, fair and complete compensation you deserve. Over the last 6 decades the Miami personal injury attorneys at the Wolfson Law firm have assisted those who were injured in a variety of situations. We have worked with clients to pursue claims against Wal-Mart, Dadeland Mall, Aventura Mall, Dolphin Mall, Merrick Park Mall, Fontainebleau, and Miami International Airport (MIA). Our personal injury law firm serves the Miami neighborhoods and communities such as Doral, Kendall, Edgewater, Miami Shores, Miami Beach, Flagami, Medley, Ojus, Ives Dairy, North Miami, Hialeah, Miami Lakes, Homestead, Miami Gardens and the rest of Florida as well. Our personal injury attorneys are also available in other locations by appointment in our Fort Lauderdale, Miami and West Palm Beach offices. In addition, we have an office in Fort Myers where we serve the communities of Lee County, Fort Myers, Cape Coral, Lehigh Acres, Bonita Springs, Estero, North Fort Myers, Collier County, Naples, Marco Island, Immokalee and Golden Gate. Our Fort Myers slip and fall lawyers are located at 3049 Cleveland Ave #140 in Fort Myers. Call us today for your free consultation at (239) 777-9954.